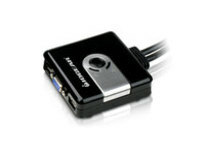 The IOGEAR 2-Port Compact USB VGA KVM allows users to share a VGA monitor, USB mouse, and USB keyboard between two computers. 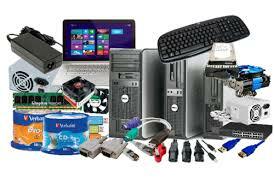 It supports multiple operating systems including Windows, Sun, and Mac. Users can switch between computers using a manual switch located on the top of the KVM unit. Being cabled based, users do not have to purchase additional cables in order to use the device. It is entirely plug-n-play and requires no software to run. It is also powered through the USB bus and thus does not require a separate independent power supply to run. It is the perfect KVM for those who want a well-priced, basic KVM that will allow them to multitask with two computers at their disposal.